SpringShare is the creator of LibGuides and LibAnswers, a web 2.0 content management and information sharing system designed specifically for Libraries. LibGuides CMS takes your LibGuides to the next level. It builds upon the base LibGuides platform to make managing large amounts of content and users a breeze - everything from access restrictions, to user permissions, REST-ful APIs, granular customization options, surveys/forms tool, etc. A Single Platform For All Your Online Reference Needs. Used by over 1,200 Libraries worldwide, LibAnswers is an end-to-end online reference platform. 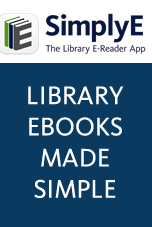 It helps you ensure that patrons get fast and accurate answers from their librarians - always!